Am looking forward to reading it again! It's central to our faith. Our very lives depend upon it. We can feel very familiar with it. But when it comes right down to it, many of us still have questions about what exactly went on at the cross. What really happened during those hours when Jesus hung nailed to a piece of wood? Can his death really buy my forgiveness - for EVERYTHING I've done? Why should a 2000 year old death impact my life today - at home, at work, at church? If you've ever asked anything like that - this book is a great place to find some answers. Why did Jesus have to die? 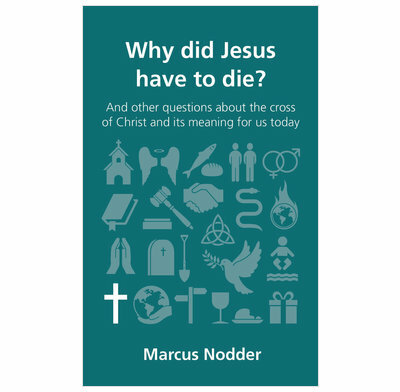 is a short read (just 92 pages) and one that manages to explain some complex theological concepts without bombarding you with jargon, which makes it a great, biblical, bite-sized introduction to the cross. But it's so much more than that. It's an encouraging read for new and mature Christians alike as it brings to life some of the wonderful implications of Jesus' incredible sacrifice. It is packed with comfort for those who struggle with guilt; challenge for those who would prefer a more comfortable, dumb-downed form of Christianity and wonder for those whose hearts are getting cold. A great book to read. A great book to give away to a friend!